2019 Annual Conference will be October 18, 19 and 20th at Fort Wallace! Beginning in 1859, the Smoky Hill Trail ran from Atchison, Kansas, on the Missouri River, west to Denver, Colorado. 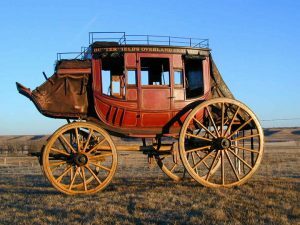 It began as a route to the Colorado gold fields, both parties of miners seeking their own way and for individuals who took the stagecoaches of the Leavenworth and Pike’s Peak Express Company. Later it was main route of the Butterfield Overland Despatch stage and freight line. The Smoky Hill Trail then followed the Smoky Hill River across Kansas and into the High Plains of eastern Colorado and on to the front range of the Rocky Mountains terminating in Denver, Colorado. The Trail had various branches, including along the Republican River. In 1863 what ultimately would be known as the Kansas Pacific Railway began to build along the Trail. 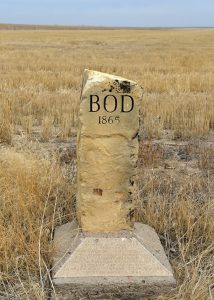 It reached Junction City in 1866 and arrived in Denver in 1870. Later in the 19th Century and on into the 20th and 21st centuries, highways followed the old route of the Trail, including U.S. Highway 40 and then Interstate 70. The Trail also witnessed confrontations between the U.S. Army and Plains Indians in the region, especially in the late 1860s. Settlers too followed the Trail, opening farms and ranches along its length in Kansas and Colorado. The majority of the Association’s members are scattered along its length from eastern Kansas to the Denver metropolitan area. They come from all walks of life and backgrounds, but share a love of the Trail and admiration for the men and women who traveled it and a loyalty to the towns and communities that sprang up along it. The Association is actively engaged in seeking National Historic Trail status for the Smoky Hill Trail, under the National Trails System Act. The association also has an on-going project, the mapping and marking of this historic Trail.